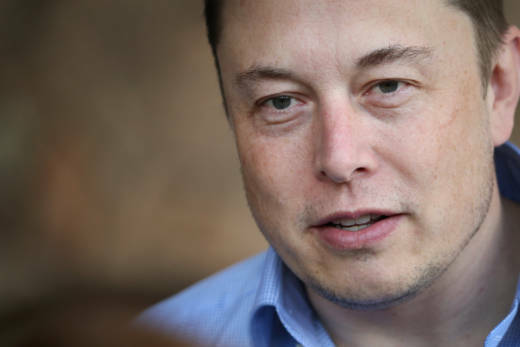 Tesla CEO Elon Musk has agreed to pay $20 million and make a series of concessions to settle a government lawsuit alleging he duped investors with misleading statements about a proposed buyout of the company. The Securities and Exchange Commission announced the agreement Saturday, just two days after filing a case seeking to oust Musk as CEO. Musk has agreed to pay a $20 million fine and resign as chairman of Tesla's Board of Directors within 45 days, according to the settlement, which is subject to court approval. Musk will be required to relinquish his role as chairman for at least three years, but he will be able to remain as CEO. The suit by the SEC stemmed from an Aug. 7, 2018 tweet by Musk saying that he was considering taking the publicly-held Tesla private at $420 per share. The SEC said the tweet was not based in fact and led to "significant market disruption." The SEC also announced a settlement with Tesla over its failure to have procedures in place to determine whether Musk's tweets included information that would need to be disclosed in SEC filings "despite notifying the market in 2013 that it intended to use Musk’s Twitter account as a means of announcing material information about Tesla and encouraging investors to review Musk’s tweets." As part of the settlement, Tesla will replace Musk with an "independent Chairman," appoint two new independent directors to its board and establish additional controls and procedures to oversee Musk’s communications — including his tweets. The company will also pay its own $20 million fine, which combined with Musk's $20 million, will be "distributed to harmed investors under a court-approved process." “The total package of remedies and relief announced today are specifically designed to address the misconduct at issue by strengthening Tesla’s corporate governance and oversight in order to protect investors,” said Stephanie Avakian, Co-Director of the SEC’s Enforcement Division in a statement. As part of his settlement, Musk agreed to comply with the new oversight of his personal communications related to the company, including receiving pre-approval of any communications that could contain information related to Tesla or its shareholders. Musk reportedly turned down an offer from the SEC on Thursday that would've kept him from being chairman for two years and forced him to pay a fine. Tesla's stock plummeted 14 percent Friday after the SEC filed its lawsuit, erasing more than $7 billion in shareholder wealth. Representatives from Tesla declined to comment on the settlement. Reporting from the Associated Press was used in this post.